This Saturday (3 September) as part of the Vision Sound Music Festival at the South Bank Centre is London is the Sound of Fear. Quite related to a link I mentioned earlier on sound/music/affect in horror films (actually it’s a topic that keeps coming up more and more). The scoop is below and, oh yes indeed, John Carpenter is included! Sound of Fear is an epic two-part event featuring an international cast of artists, critics and composers brought together in a celebration of the music and sound design of the horror film. 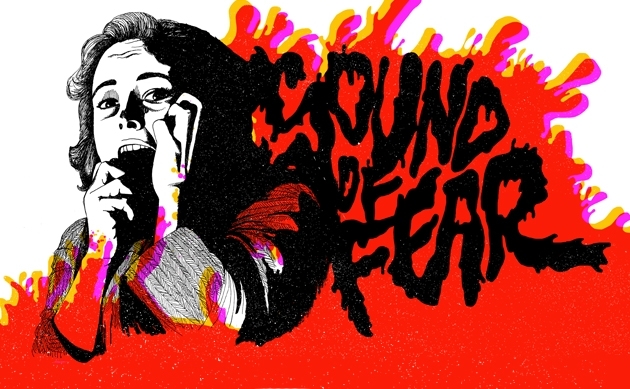 Through live performance and discussion, Sound of Fear explores the musical universe of horror, with its supernatural soundscapes and shrieking string arrangements, and pays homage to the masters of musical menace who have made the horror movie soundtrack a melting pot of opposing musical cultures. Tracing the historical developments and cultural significance of music set to horror films, Sound of Fear looks at the introduction of the European avant garde into popular culture via the Hammer pictures of the 50s, Bernard Herrmann’s redefinition of how horror was heard with his revolutionary score for Hitchcock’s Psycho and the influence of cult director John Carpenter’s atmospheric genre scores of the late 70s and early 80s on a new wave of musicians working today. Artist Vicki Bennett’s (aka People Like Us) will be screening Horror Collage (2008) on Saturday 3rd September, Part 1 6pm-8:10pm and Part 2 8:30pm – 10:30pm. Watch a clip here. Click here for times, schedule, and ticket information.